So you chose the perfect Indian wedding dress and need to accessories it properly? While an Indian bridal dress might glamorous enough to wear on its own, you do need the proper accessories to set it off. If you are looking for wedding accessories but are having no success, it’s time to head to the Internet. Shopping for your Indian wedding dress online might be a difficult decision, but buying accessories should not be! Not everyone picks a saree for their Indian wedding dress but if you choose to go with one then look for saree pins. Saree pins are delicate pieces of jewelry that add a nice elegant touch to the whole saree. Much like brooches, saree pins are found in a large variety of designs. While some saree pins are more traditional in design, some are also rather modern. Take a look at the large collection available online and see which one goes best with your saree. While the feet of the bride are usually adorned with henna, an anklet can really make sure that you are perfectly accessorized from your head to your toes. Online stores often feature anklets and toe rings that will match your wedding dress perfectly. The large array of designs ensures that you can easily find any kind of anklet or toe ring that you might be looking for. ‘Bindis’ and ‘mang tikkas’ are the norm for an Indian bridal dress and if you are opting for one, make sure that it complements the overall outfit. Another thing to keep in mind is that it should not be too big for your forehead size. You don’t want it to look like a large pinpoint on your head. Bindis and ‘mang tikkas’ are also easily found online in a number of designs and at various prices. Whether you are looking for something ornamental and intricate or simple and delicate, searching online is the best bet. Indian wedding dresses are incomplete without a little bejeweled purse with them. These can also be easily found online but they are usually offered from designers. A perfect Indian wedding purse should match the color of the dress, be small enough to carry in your hand yet large enough to carry some tissue wipes, some emergency makeup for touch ups and your phone. Many purses mention dimensions online too so make sure you pay attention to those figures and pick one that is petite yet roomy. Often the most overlooked item on the list of accessories, do not opt for a pair of stilettos from your own collection. Shop online and pick one which goes with your dress and is comfortable to boot. If you want to wear heels, go for one which is not higher than 2 inches. Since Indian weddings are long affairs and you might be on your feet a lot, wearing stilettos will be a pain in your feet. You can easily find all these accessories and more for your Indian wedding dresses, online. Just make sure that you order them in accordance to your wedding schedule and allow a few days for delivery purposes. 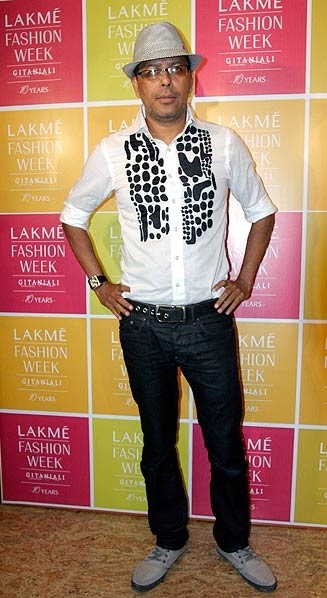 Indian designer Narendra Kumar has been ranked in the top of the best fashion designers in the world by Esquire magazine's, and ranks 56th place in the ranking. We knew talent since his last collection "Bridal New Age" which was a resounding success. And we all know that Bollywood delights of his creations.